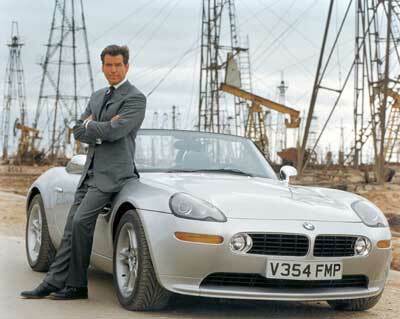 You have almost certainly seen the Bond movie “The world is not enough“. 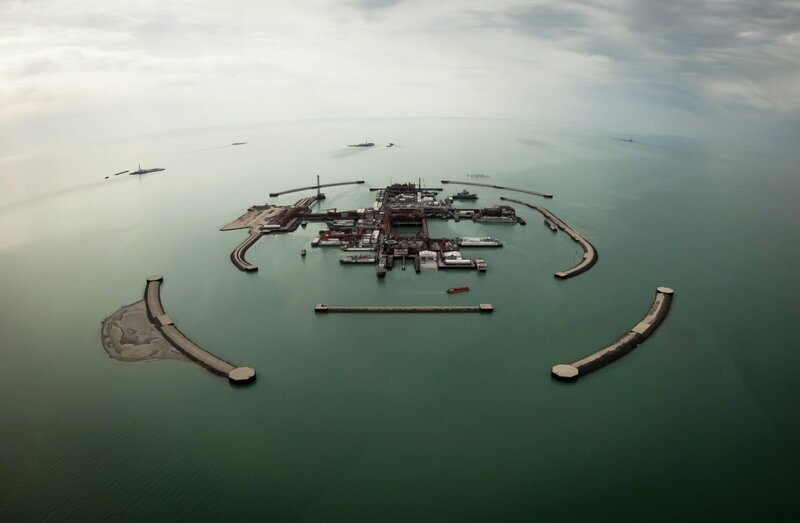 The film responded to the emerging oil boom in the Caspian basin, where reserves of up to 200 billion barrel are expected. corrosive and poisonous hydrogen sulphide gas, pumped up from the seabed along with the oil, has eaten through pipes bringing it onshore. Another Kazakh cash burner has been the Tengiz field ($40 billion), but that field at least produces ca. 500,000 barrel per day. Both fields combined contain reserves worth 22 billion barrels. 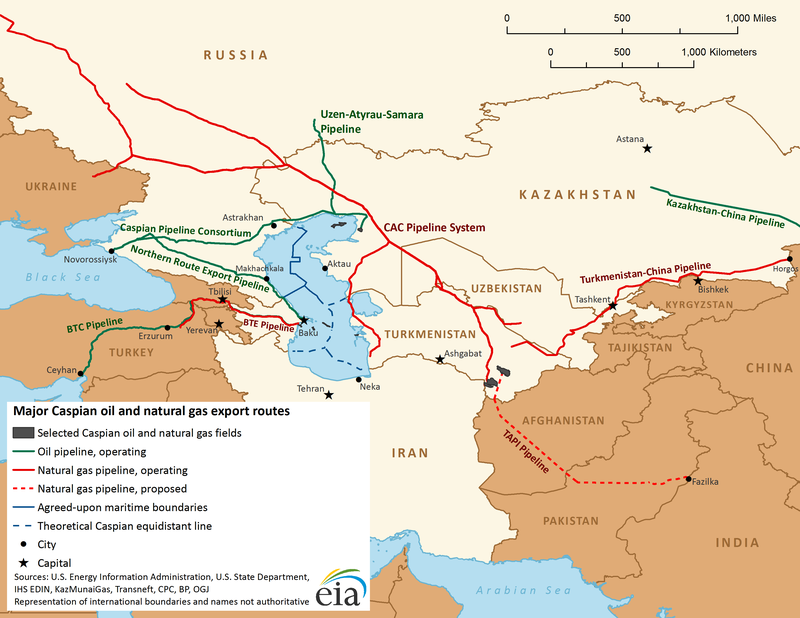 Overview of all major oil & gas pipelines in the Caspian basin, as well as exploitation right per country. Planned pipelines Caspian basin. 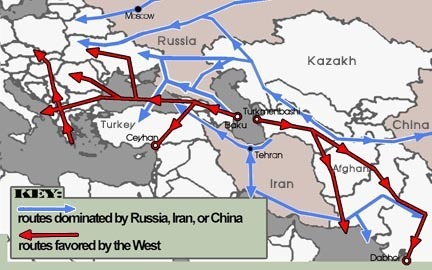 The planned pipeline through Afghanistan (red line, bottom right) is the main reason why the US are still in that country. The bin Laden story is for newspaper readers.